Recently Tate in the U.K. announced its acquisition of four of Sylvia Pankhurst’s watercolors, which will go on view at London’s Tate Britain in 2020. They are rare examples of the famous suffragette’s formal painting. 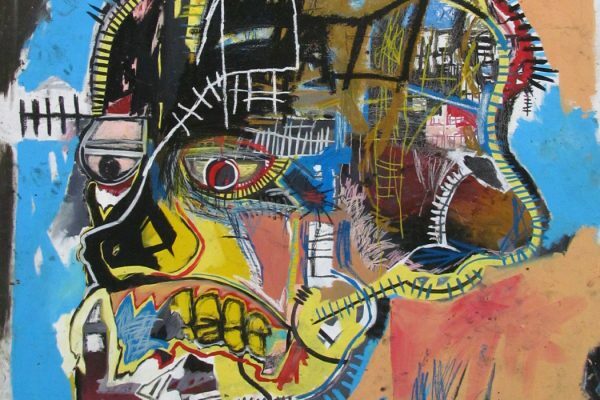 She mostly quit painting in the following decades, but she never stopped approaching her activism as an artist. Before she dedicated her life to activism, ranging from women’s suffrage to anti-colonialism in Ethiopia, Sylvia Pankhurst studied art. Born in 1882, she trained at the Manchester Municipal School of Art and won a scholarship to the Royal College of Art. After the founding of the Women’s Social and Political Union (W.S.P.U.) by her mother Emmeline and sister Christabel in 1903, Sylvia used her talents to advocate for women’s rights. Pankhurst described the “almost deafening noise of the machinery and the oppressive heat” of the mill. A 1907 series of expressive portraits captured the daily work conditions of women in mills and potteries, based on Sylvia Pankhurst’s firsthand experiences visiting these industries in Northern England and Scotland. 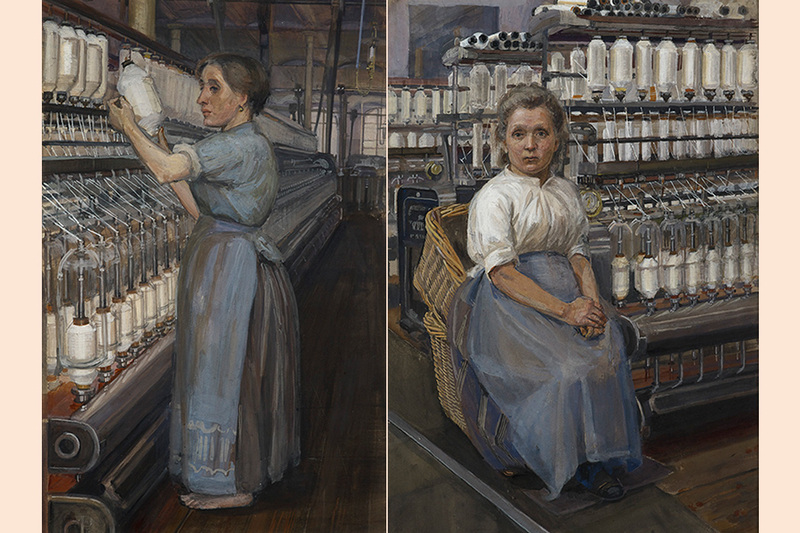 Each watercolor shows an individual woman at work, finishing a plate in a Staffordshire pottery factory or changing a bobbin in a Glasgow cotton spinning mill. Pankhurst depicts them with dignity. But she was appalled at the poor conditions in these places. She described the “almost deafening noise of the machinery and the oppressive heat” of the mill, and the measly seven shillings a week received by the women in the potteries, who were limited to unskilled jobs and exposed to hazardous dust and fumes. 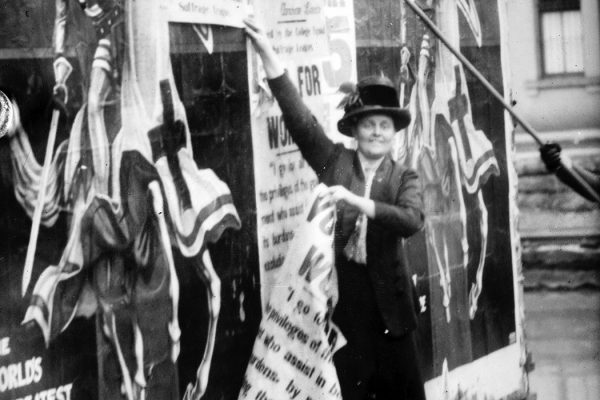 Pankhurst created numerous materials for W.S.P.U., including membership cards, banners, badges, and flyers. A popular way for British women to show their allegiance to the suffragist cause was jewelry, often in the W.S.P.U. colors of white, purple, and green. In The Journal of the Decorative Arts Society 1850-the Present, jewelry historian Elizabeth S. Goring notes that Pankhurst designed several of these items, frequently featuring her “Angel of Freedom” logo, a winged figure sounding a horn and holding a “freedom” banner aloft. She also designed a tin badge showing “a woman dressed in white emerging from prison, stepping over broken chains, and accompanied by doves and streamers demanding Votes for Women.” Pankhurst was responsible for one of the most prestigious of these wearable objects: the Holloway Brooch, named for H.M. Prison Holloway, given to suffragettes who had spent time in prison for their actions. Pankhurst oversaw the design of the W.S.P.U. office in London’s East End—a working class and immigrant district. “Sylvia Pankhurst ran the W.S.P.U. office, which she selected, refurbished, and personally decorated with the words Votes for Women in gilt letters,” writes historian Lynne Walker in Women’s Studies Quarterly. Then conflicts with her mother and sister over Pankhurst’s socialist views led to her expulsion from the W.S.P.U. While Pankhurst never returned to the empathetic portraiture of her early years, each stage of her activism was infused with her eye for art. From a tiny badge to a whole building, Pankhurst demonstrated how design can be a tool for change.